This course is for anybody interested in the training of dogs to support sufferers of PTSD specifically, and for those with a general interest in the role of assistance Dogs; their training and desired skill-set. It covers how to train for pheromone discrimination and training the dog to support through night terrors and much more. Rob truly understands the importance of a positive training schedule with the dogs he trains and the people he coaches. 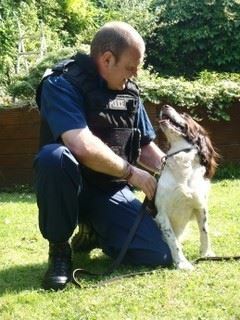 He wishes to share his love and experience of search training with you and your dog. Witnessing the enjoyment, enthusiasm and excitement the dogs get from being engaged in the natural process of ‘nose-work’ has been his guilty pleasure for the last 25 years. Long may this continue! !